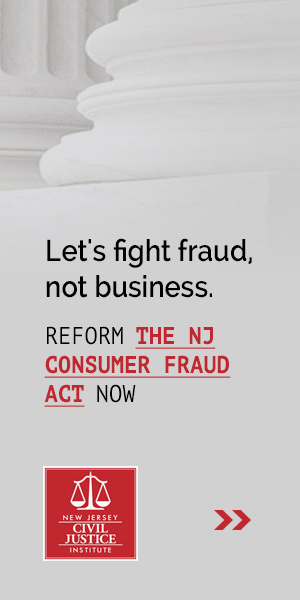 On Wednesday, July 16 at noon, the New Jersey Civil Justice Institute is hosting a policy teleforum on a pair of opinions that the U.S. Supreme Court recently released that could reduce the growing number of abusive claims filed by so-called patent trolls. Together, these decisions expand the availability of attorney’s fees for prevailing parties and increase federal district courts’ discretion in awarding fees. NJCJI’s teleforum will feature Prof. Adam Mossoff of George Mason University School of Law, one of the nation’s leading experts on patent law. If you are interested in participating in the call, please email mailto:ekelchen@civiljusticenj.orgfor the call-in information. The New Jersey Civil Justice Institute is a bipartisan legislative advocacy organization focused on making New Jersey a more attractive place to do business. NJCJI and its members support a number of common sense legal reforms that will ensure the state’s legal system resolves disputes expeditiously and impartially, based solely upon application of the law to the facts of each case. Such a system fosters public trust and motivates professionals, sole proprietors, and businesses to provide safe and reliable products and services while ensuring that truly injured people are fully compensated for their losses.